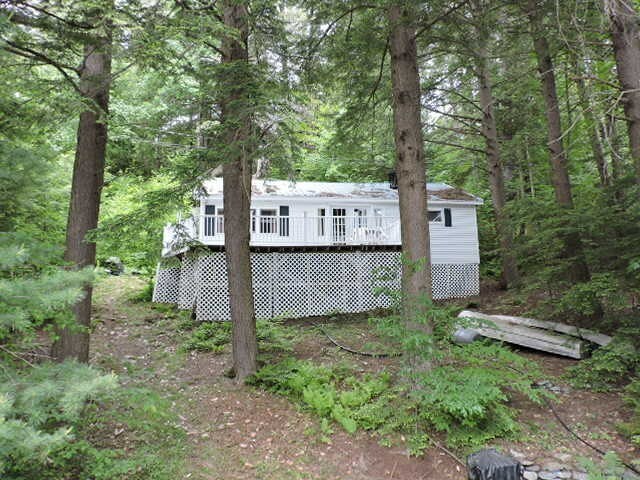 Beautifully set 3 season cottage with privacy. New dock on your own 100 feet of water frontage. Large deck to enjoy the water view from the cottage. Patio doors from the main room/living room onto the full length deck. Newer bathroom and updated electrical panel. This cottage has a state approved two bedroom septic system already in place. Paneled walls and ceiling for that classic cottage feel. Full functioning kitchen and laundry. enjoy the wood stove for those cozy fall evenings. This cottage is ready to move into and enjoy or you can remodel and make it your own.